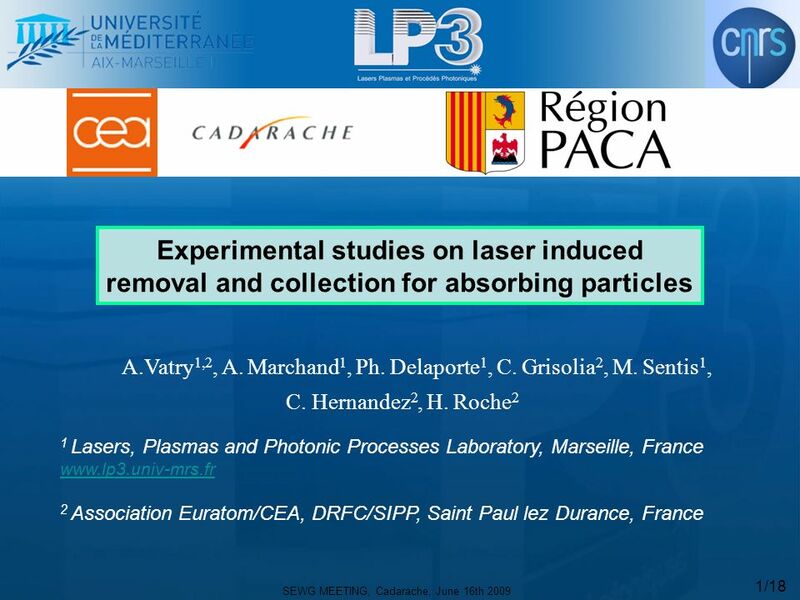 SEWG MEETING, Cadarache, June 16th 2009 1/18 Experimental studies on laser induced removal and collection for absorbing particles A.Vatry 1,2, A. Marchand. 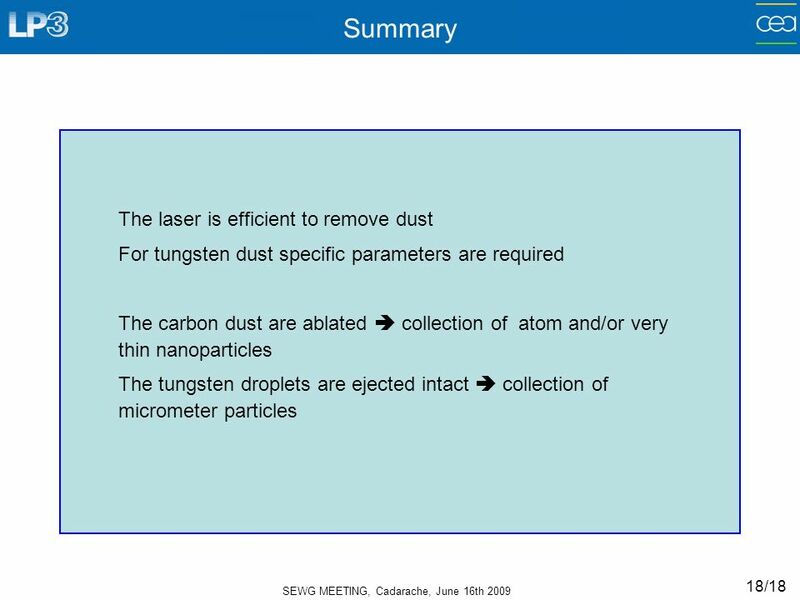 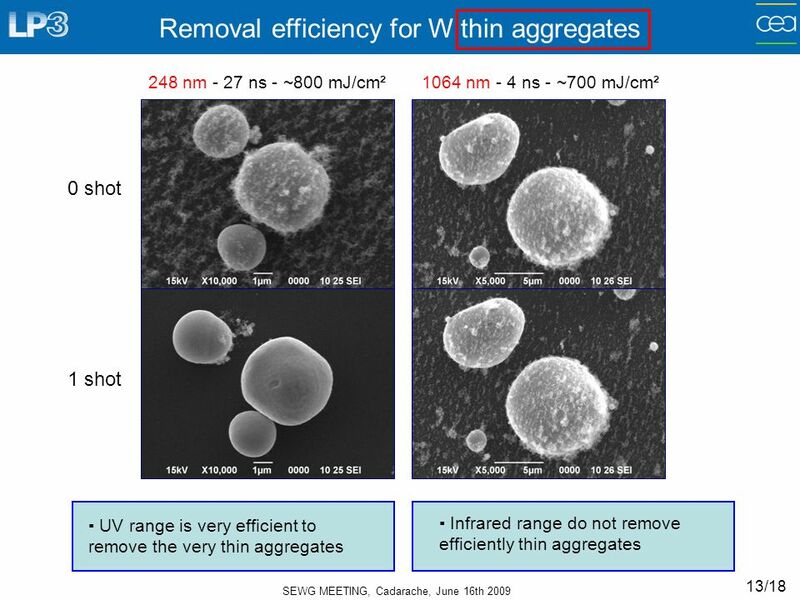 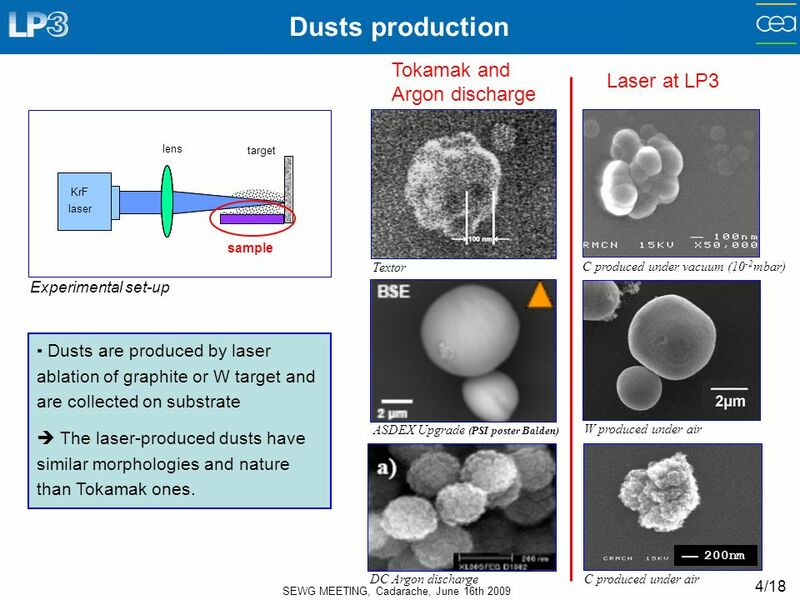 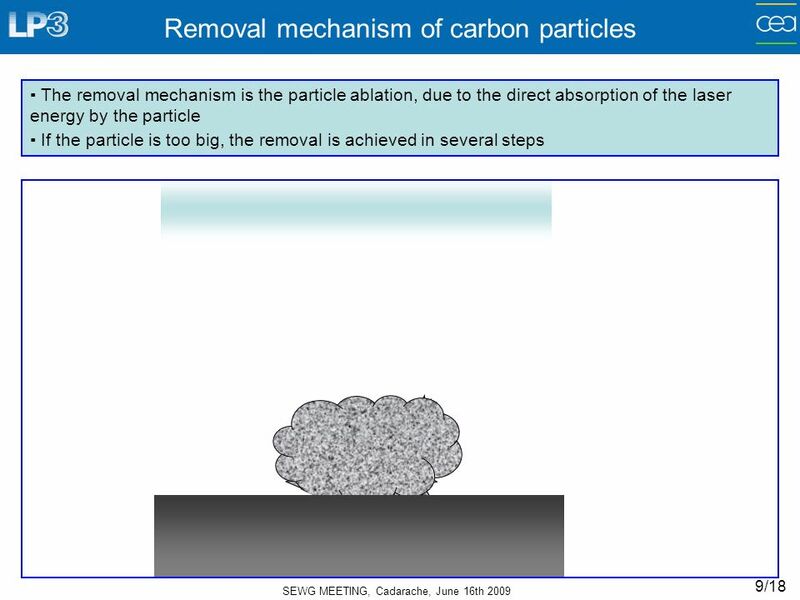 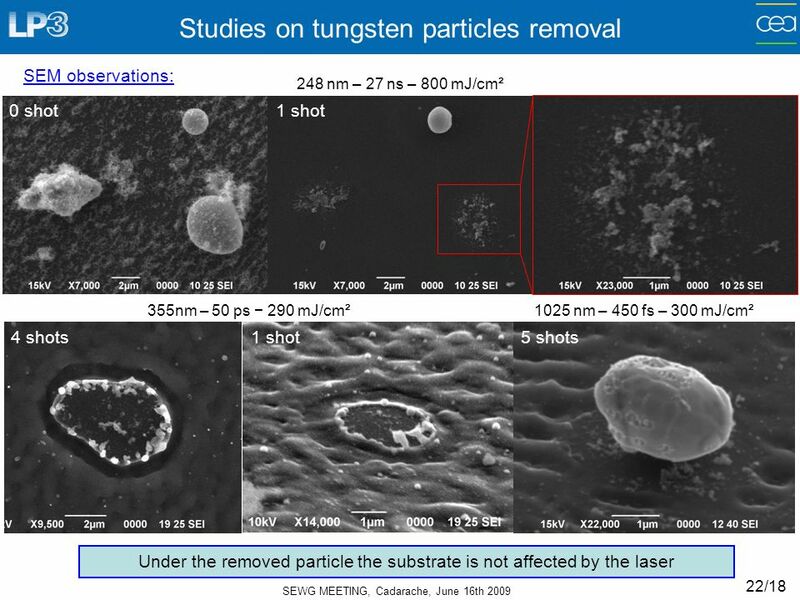 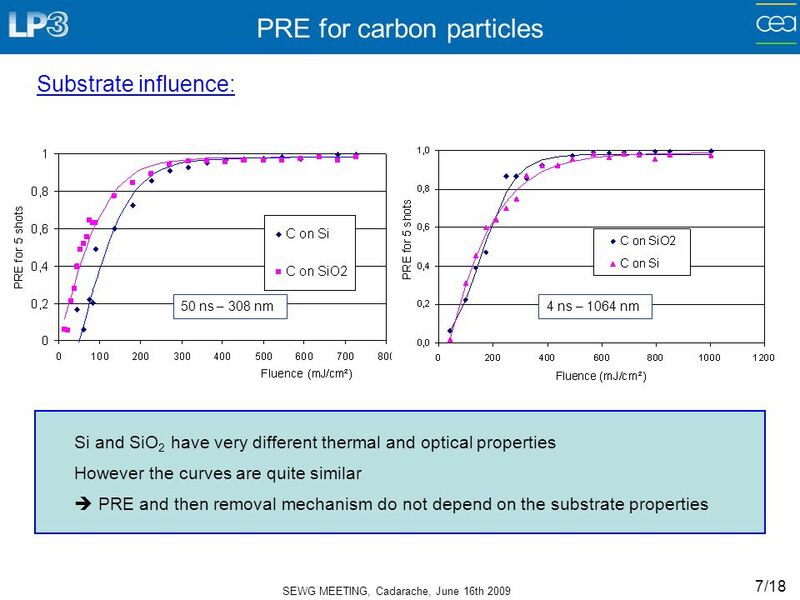 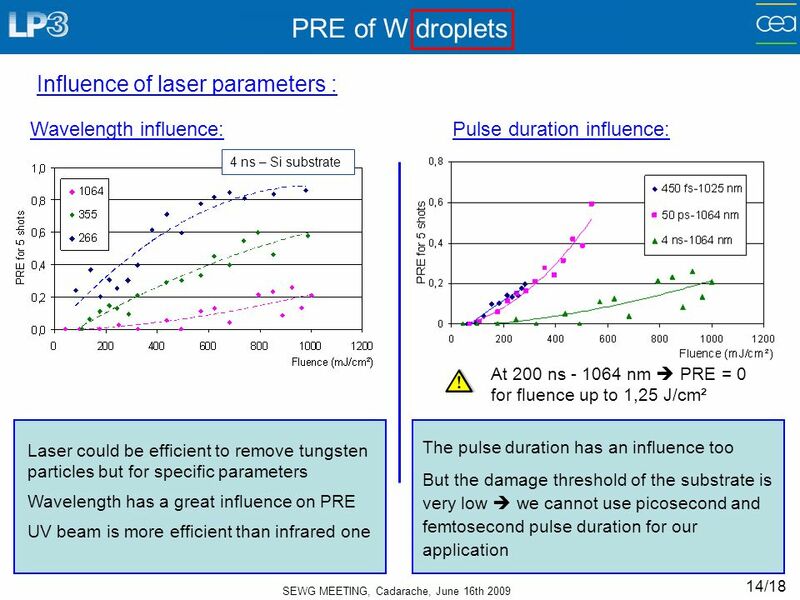 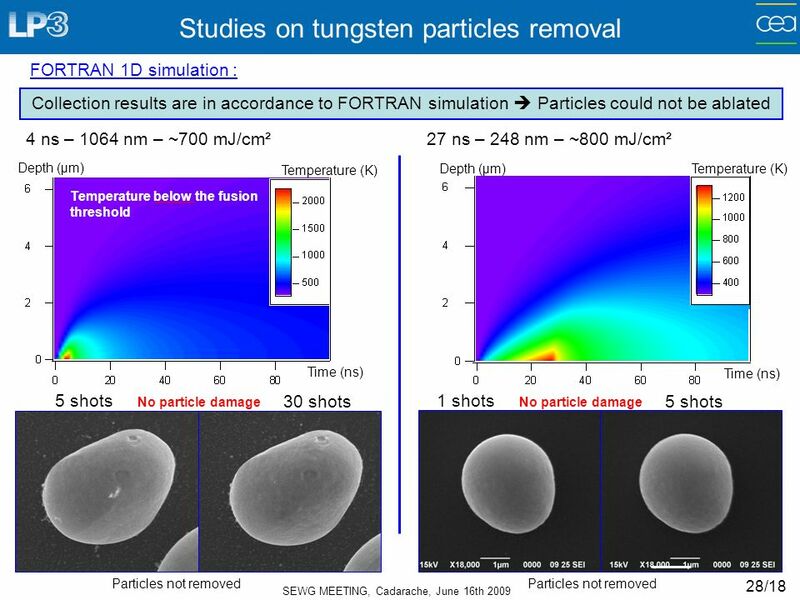 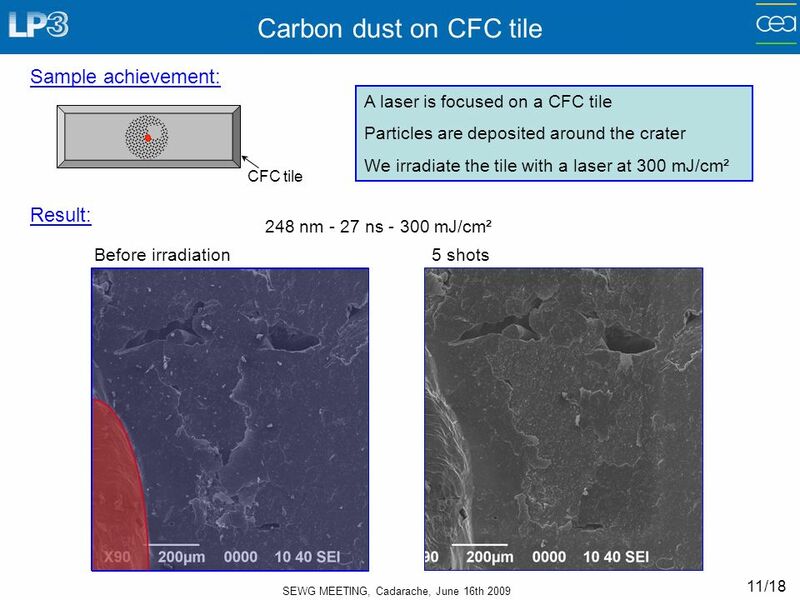 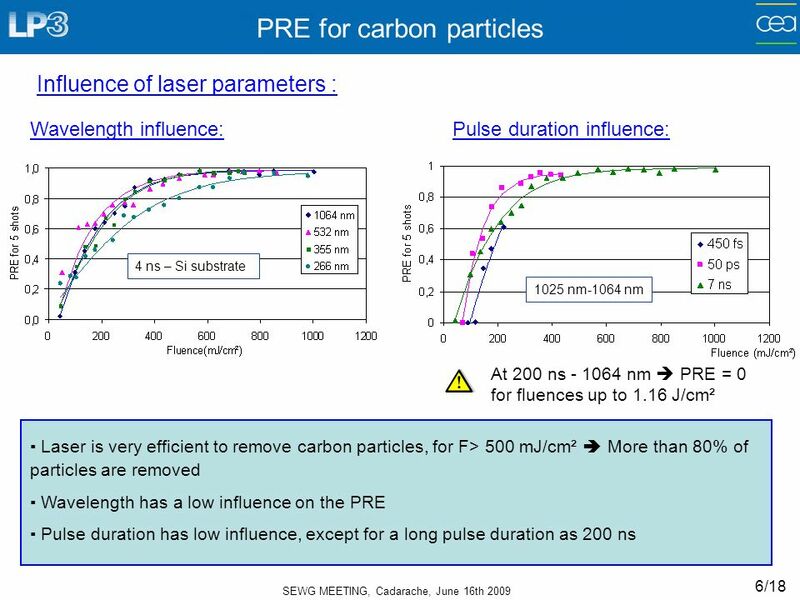 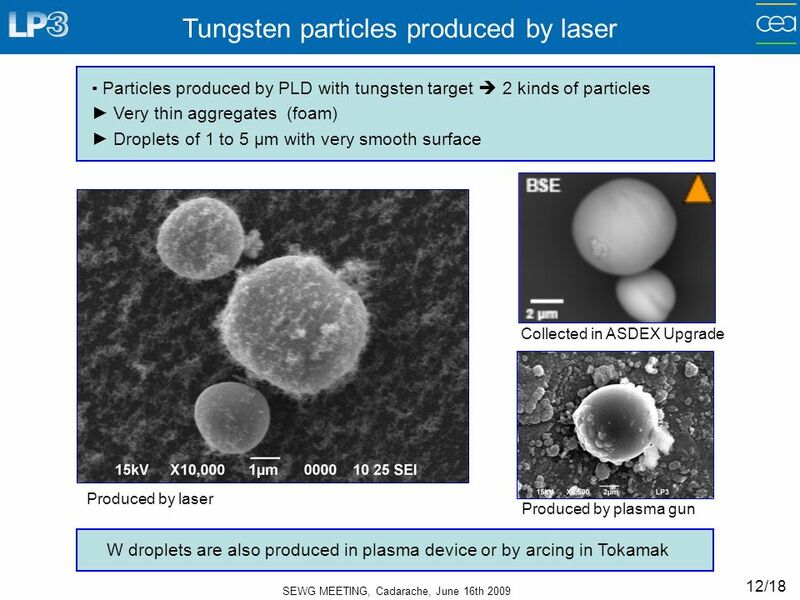 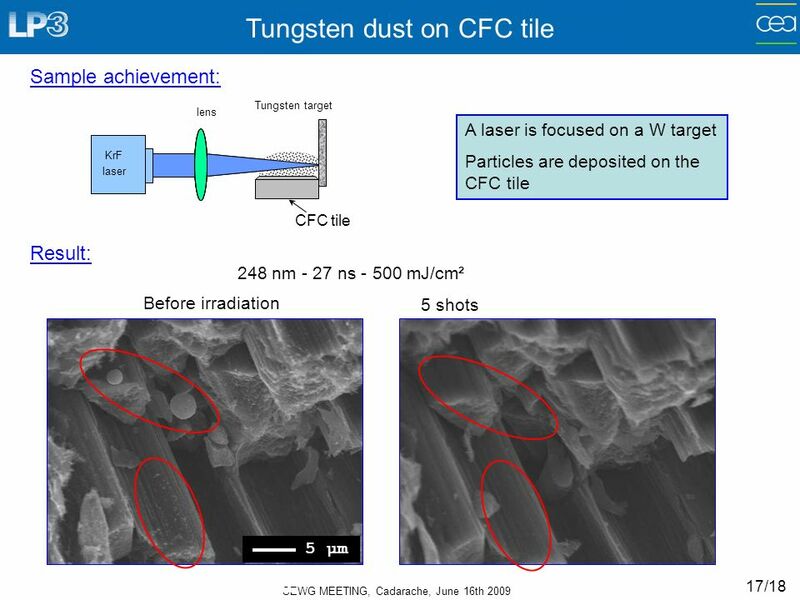 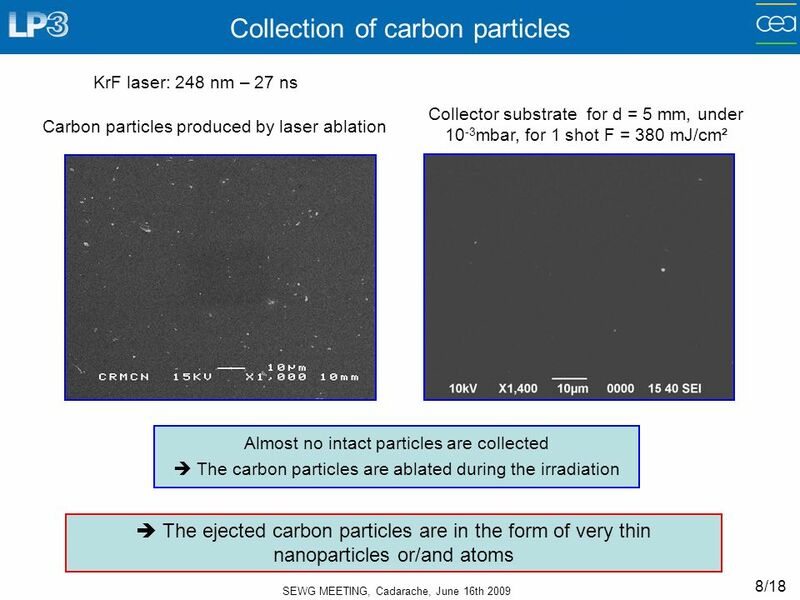 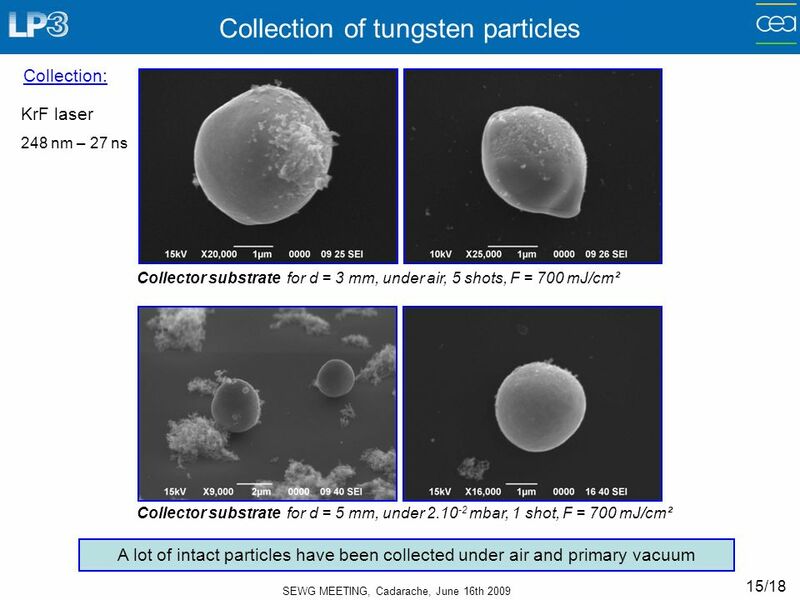 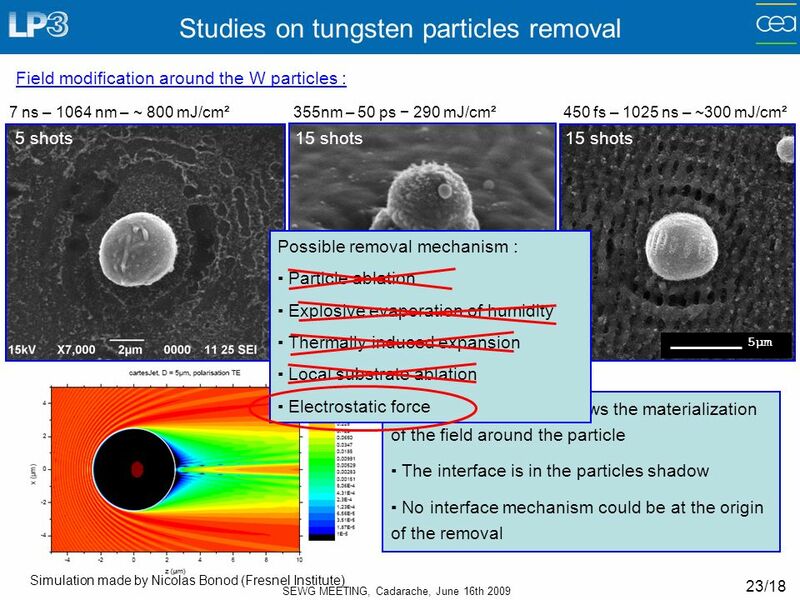 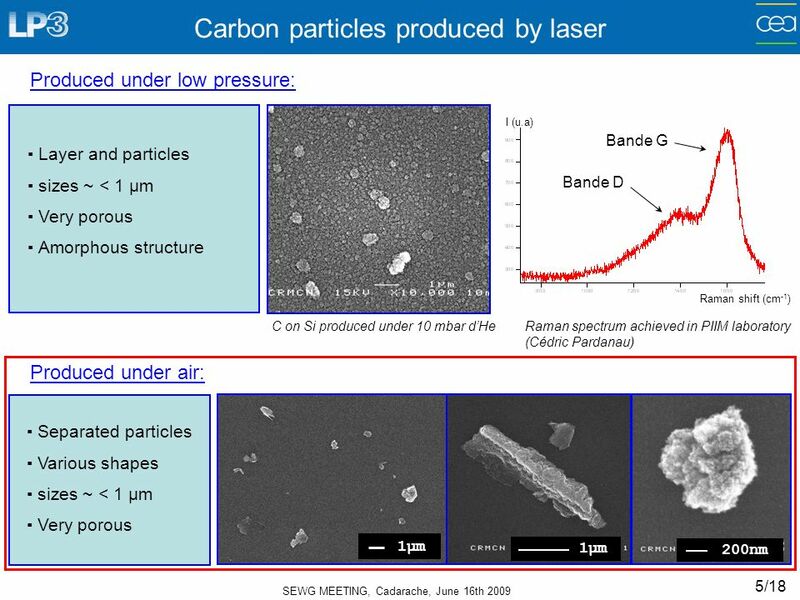 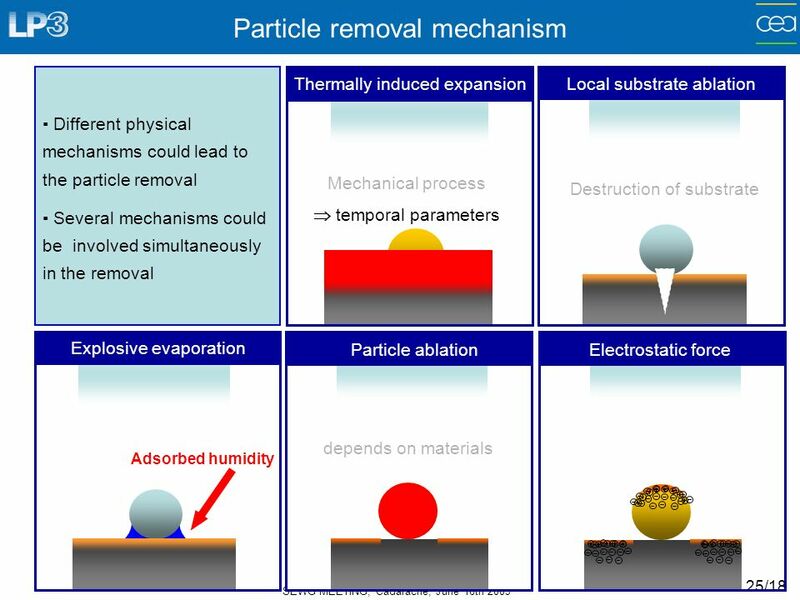 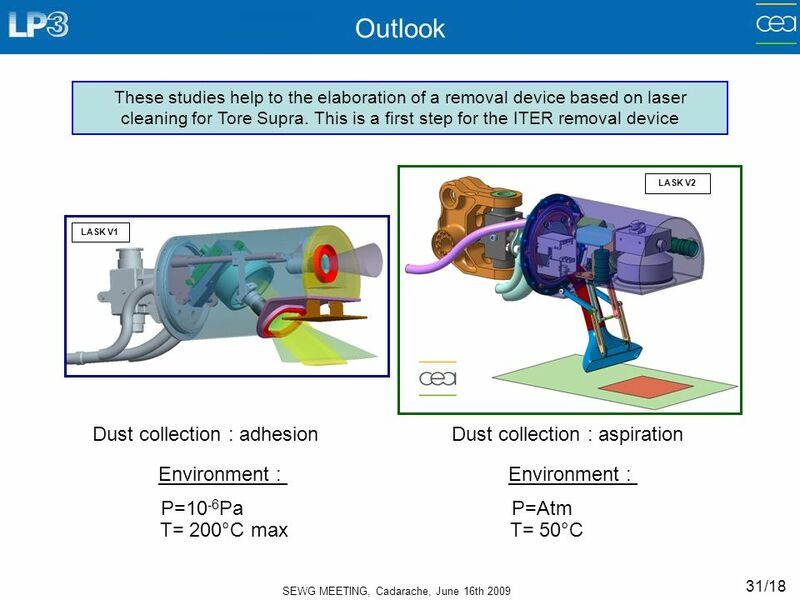 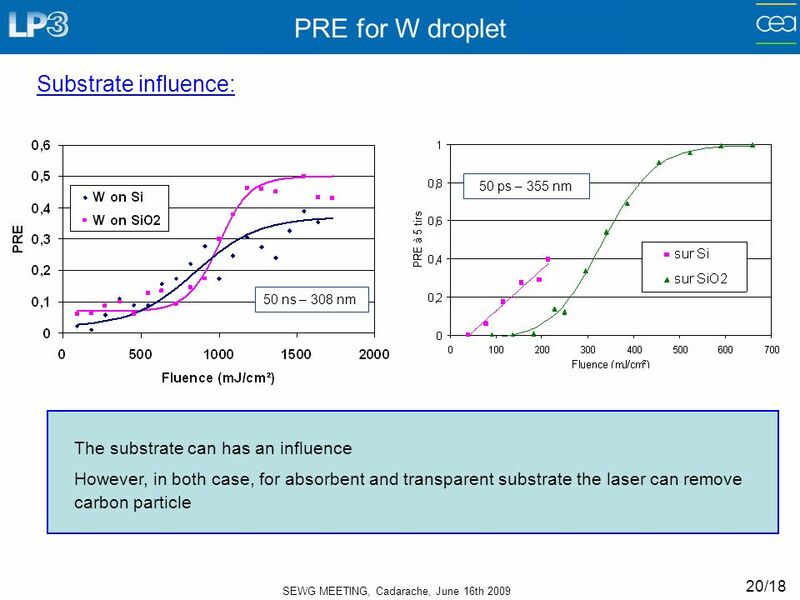 Download ppt "SEWG MEETING, Cadarache, June 16th 2009 1/18 Experimental studies on laser induced removal and collection for absorbing particles A.Vatry 1,2, A. 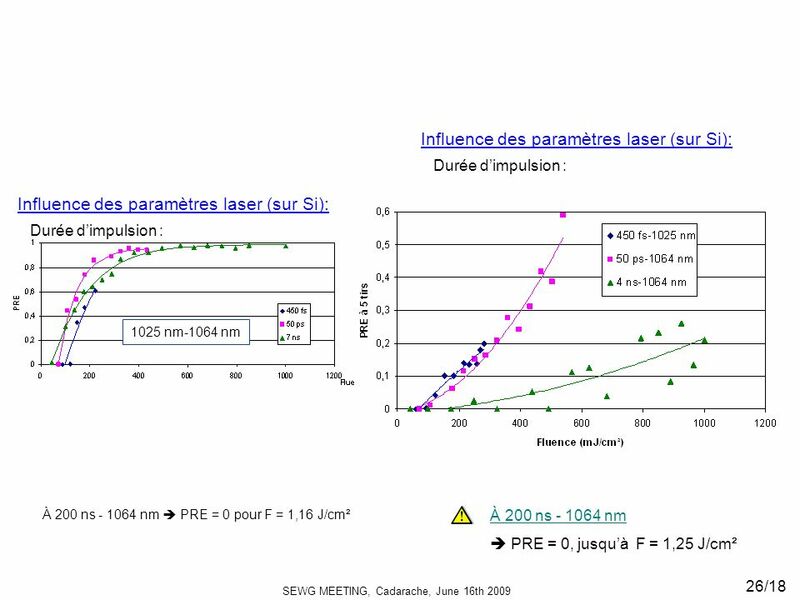 Marchand." 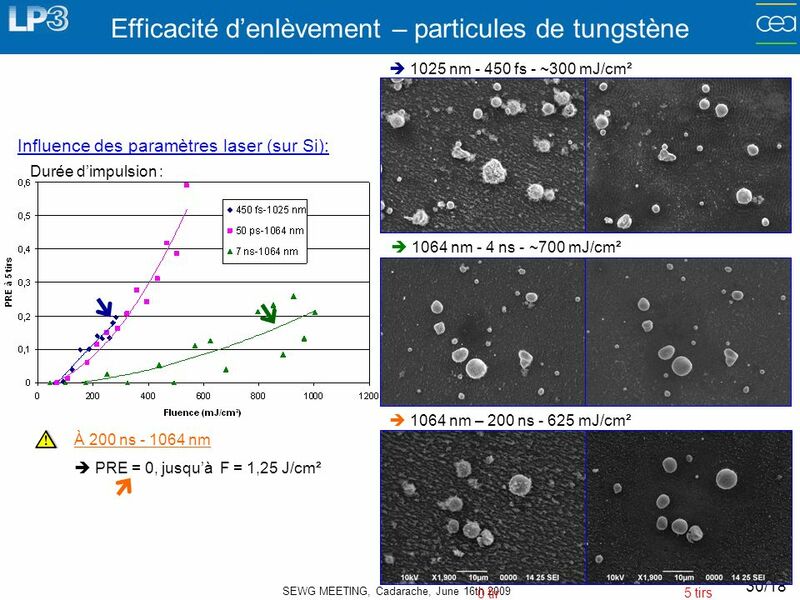 Copyright 2011 Elsevier Inc. All rights reserved. 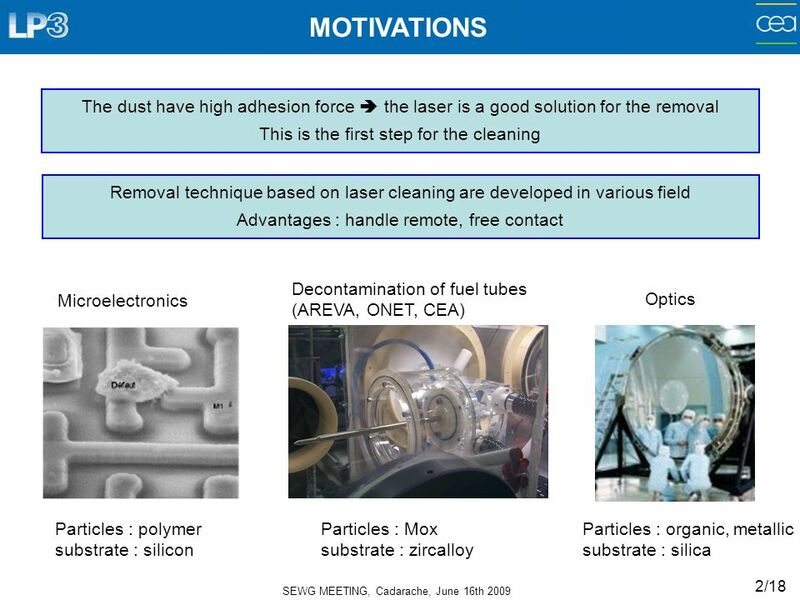 Chapter 03 Dual-Fluid Spray Cleaning Technique for Particle Removal 1Copyright owned by James T. Snow, Masanobu Sato, and Takayoshi Tanaka. 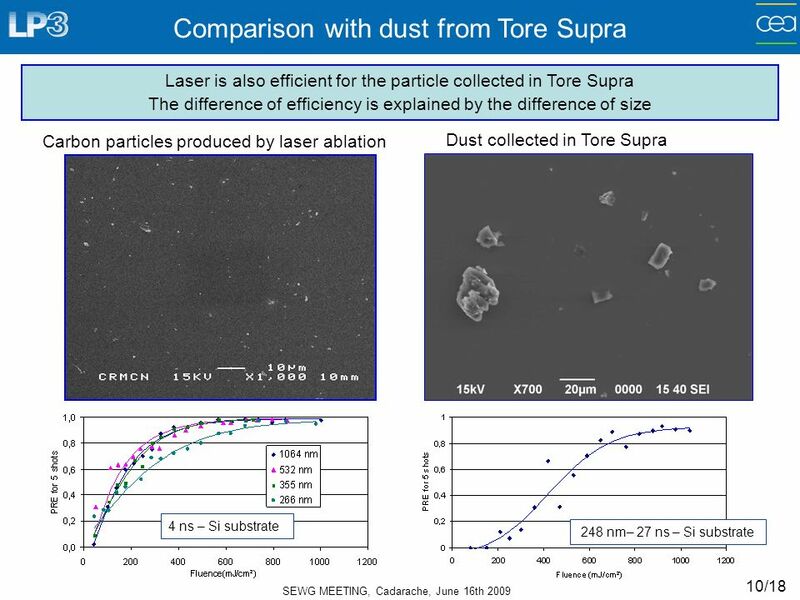 TORE SUPRA Association EURATOM-CEA Philipps, Huber, Schweer, Sergienko, Brezinsek, Mertens, Zlobinski & Grisolia, Hernandez, Roche, Pocheau, Davi, Semerok. 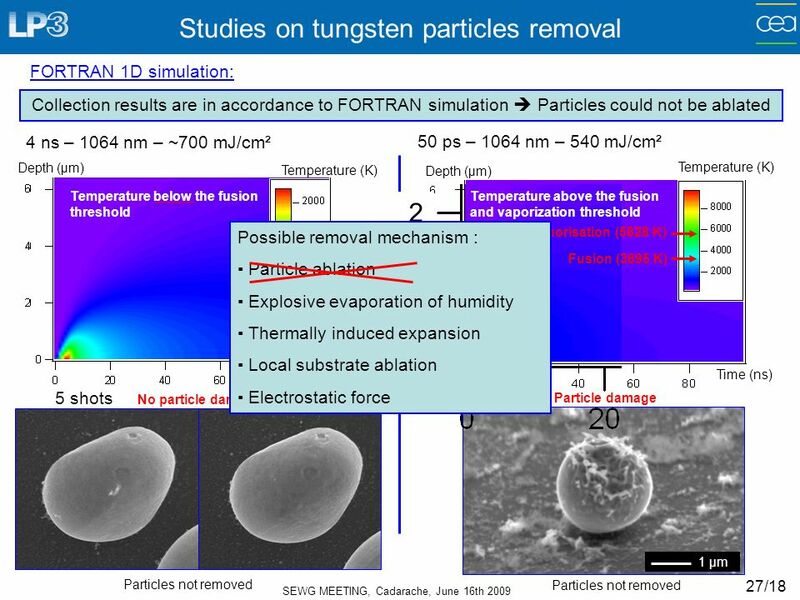 1Annual meeting SEWG Transient Heat Loads, Ljubljana, 1 st /2 nd October 2009 TORE SUPRA Association Euratom-CEA J. Bucalossi Report on Tore Supra activities. 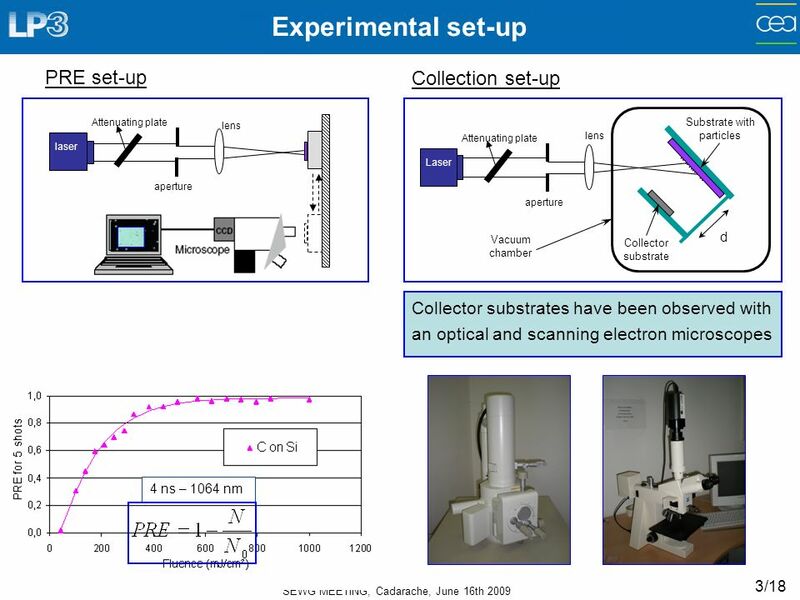 Kazuyoshi Sugiyama, SEWG meeting, Culham, July Outline: 1.Introduction 2.Experimental procedure 3.Result 4.Summary Kazuyoshi Sugiyama First. 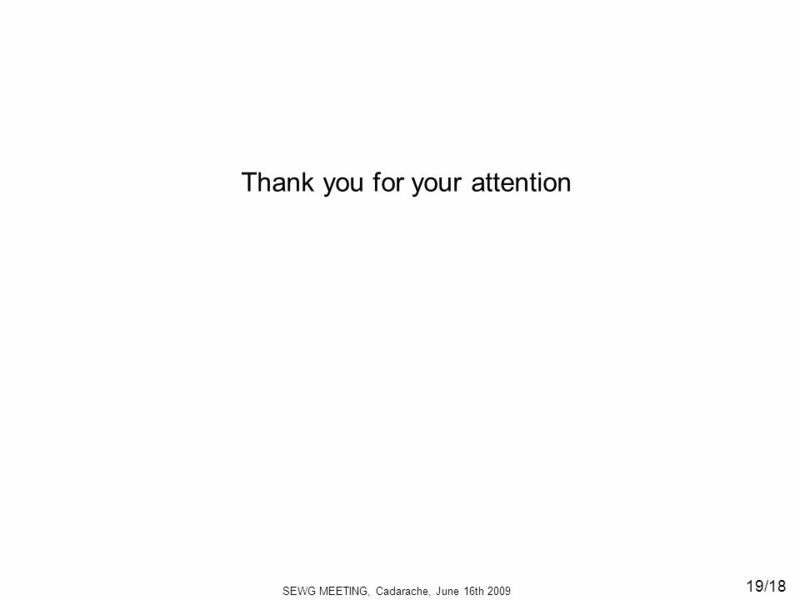 CIPS SEWG FR, JET 2008C. 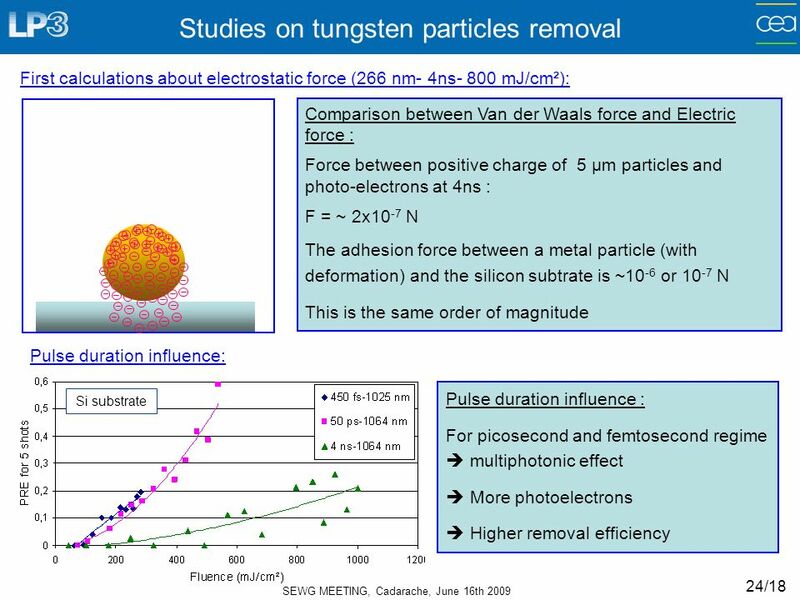 Hopf O 2 /He glow discharge cleaning: Experience at IPP Christian Hopf, Volker Rohde, Wolfgang Jacob Max-Planck-Institut für Plasmaphysik. 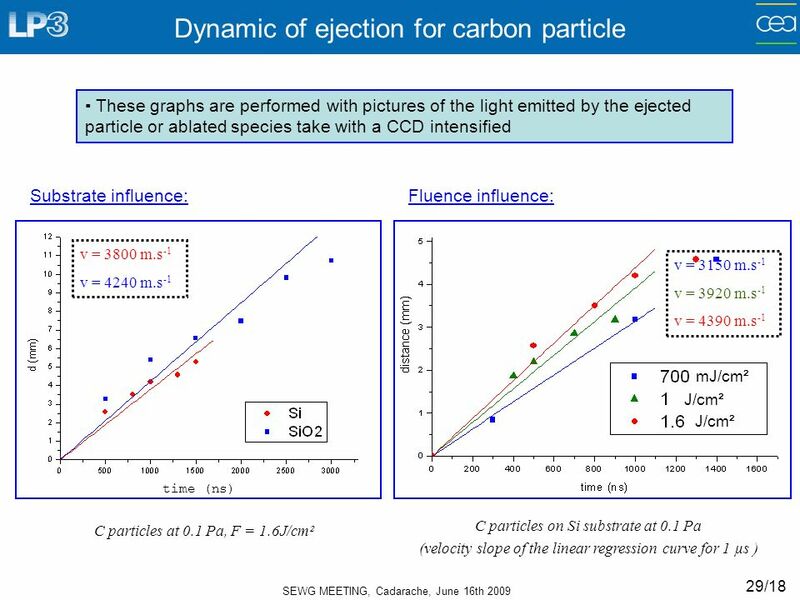 1SEWG Fuel removal - Glow improvement for JET D. Douai22-23 July 2008 EFDA Task Glow discharge improvement for JET D. Douai 1, D. Garnier 1, S. Brémond. 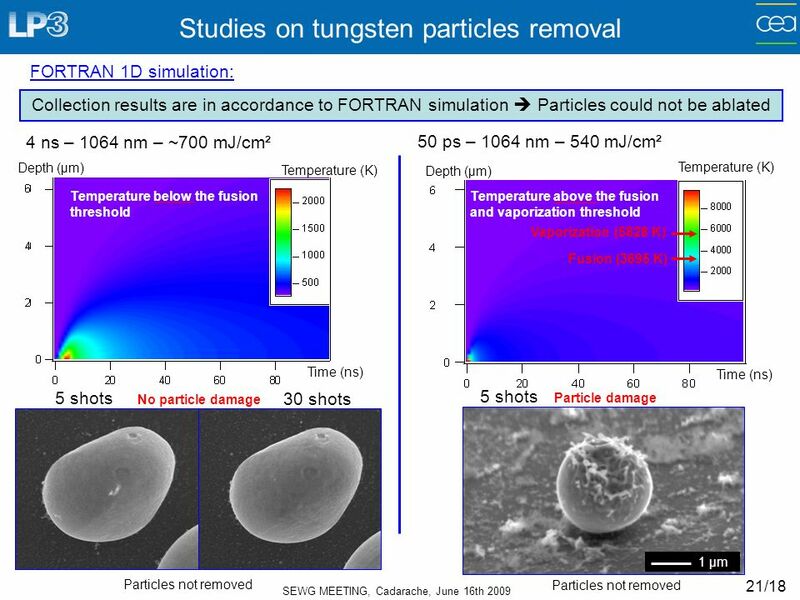 Institute for Plasma Physics Rijnhuizen D retention in W and mixed systems in Pilot-PSI G. De Temmerman a, K. Bystrov a, L. Marot b, M. Mayer c, J.J. Zielinski.